Successfully saved Roasted Red Pepper Skillet Chicken to your Calendar. You can also save the ingredients to your Grocery List. 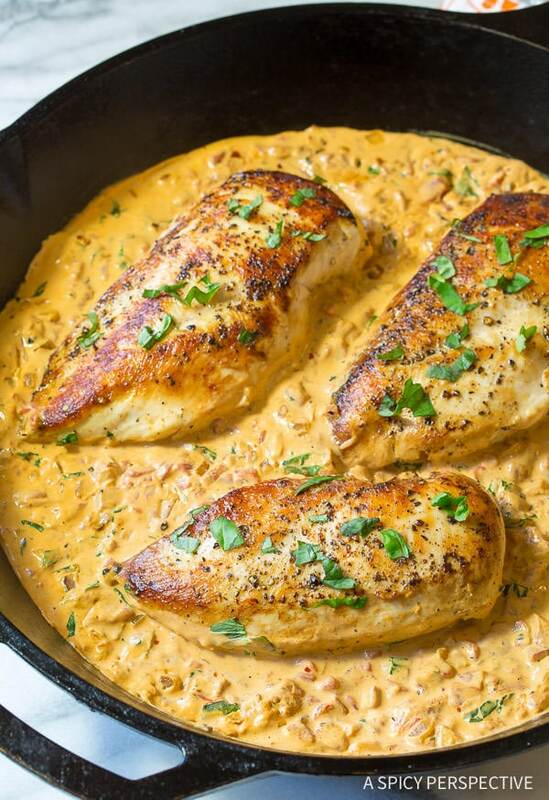 Roasted Red Pepper Skillet Chicken is our latest family favorite and a fab mid-week meal to serve with rice or pasta. Just 9 ingredients and a lot of kick!